Driven by demand in the nanotechnology, display and biotechnology sectors, the optical coatings industry is projected to reach $7.4 billion by 2012, according to a report by Global Industry Analysts Inc. of San Jose, Calif. 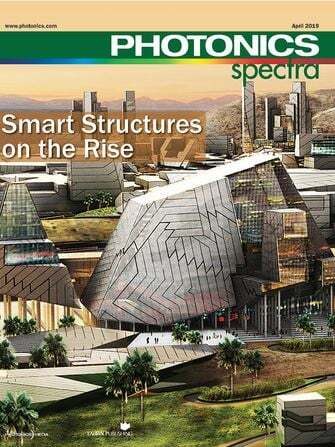 Titled “Optical Coatings: A Global Strategic Business Report,” the publication notes that coatings will be in demand for use in flat panel displays, laser optics, camera lenses, computer and television screens, and in the medical and transportation industries. 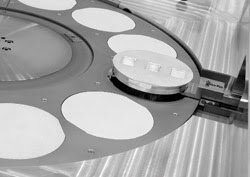 The report states that the US is the largest market for optical coatings worldwide, with an estimated worth of $2.81 billion in 2008, and that the US and Asia together make up 86 percent of the global optical coatings market, followed by Europe. Sales of transmissive or antireflection coatings, the largest coatings segment, are projected to reach about $3 billion in 2008. 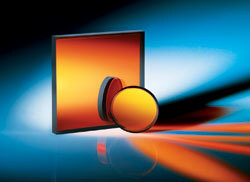 The global market for reflective coatings is predicted to rise to $699 million by 2012. Dr. Turan Erdogan, chief technology officer of Semrock, a Unit of Idex Corp. based in Rochester, N.Y., provided his perspectives on optical filters, a major application of the coatings. He noted that the development of reliable “hard” coatings for complex optical filters is currently an important trend in the industry. With the advancements in the past few years, he said, many people believe that areas such as biotechnology and analytical instrumentation are moving exclusively toward hard-coated filters, benefiting not only from their performance but also from their lasting reliability and durability. Erdogan said that, within the optical filter market, optical techniques such as fluorescence and Raman spectroscopy increasingly will be applied to large-volume, lower-cost instruments for more widespread use in clinical diagnostics and medical applications. He also said that researchers recently found a way to make ultrawide-passband yet deeply blocking thin-film notch filters – important for detector applications – using the more standard approach of discrete multilayer optical coatings. These notch filters achieve the deep (optical density >6) laser-line blocking of the best thin-film notch filters with limited passbands, yet now provide low-ripple passbands that extend from the UV well into the near-infrared. The secret, he said, is the highly complex thin-film coating design composed of many hundreds of thin-film layers, and the optical coating manufacturing technology that enables this design to be produced with a high degree of accuracy over fairly large coating areas. Advances in coating deposition technology have made possible the production of large, cost-effective precision filters. Squares, rectangles and unique geometries can be produced to demanding specifications. Photo courtesy of Edmund Optics. When asked about the outlook for the optical coatings market, Mark Madigan, director of sales and marketing at JDSU in Santa Rosa, Calif., brought up the entertainment industry. He said there are a dozen 3-D movies scheduled to be shown in 2009 and noted that special optically coated glass eyewear – not the standard cardboard variety – are required to view them. He believes that, as we see an increase in the number of 3-D movies, there will be a mass-market demand for the coated eyewear. Optical coatings also will be used more in projection displays, in environmental sensing, and in the medical and automotive industries for areas such as collision avoidance and night vision, he said. We also can expect touch screens to be enhanced with optical coatings that increase clarity and that reduce contamination and smudging, Madigan said. In general, the industry trend will be toward new solutions and better economics for traditional requirements, he added. As yet, the optical coatings market has not felt the effects of the current economic downturn, with continued strong sales into 2009, according to Iain MacMillan, corporate director of optical coatings at Edmund Optics Inc. in Barrington, N.J. He said that coating designers and process engineers face increasing challenges to produce high-precision coatings that provide better performance at lower costs. The use of coating process monitoring strategies and simulation software is leading to improved yields and higher quality coatings, he added. Broadband monitoring, the ability to monitor a range of wavelengths as the coatings are deposited on a substrate, shows promise for future improvement in providing additional accuracy in coating processes. The cost of manufacturing precision filters is reduced with high capacity, load-lock continuous operation and shorter production cycles. Photo courtesy of Edmund Optics and Leybold Optics. Other areas of market growth include coatings for very short pulse lasers such as the femtosecond ones, where individual layer tolerances within the coating are extremely tight. Vision equipment for the military, especially night vision, also is a large and growing market for optical coatings. There is a movement away from the traditional evaporative coating methods and toward the newer reactive magnetron systems, which not only provide greater repeatability but can be constructed for low-cost, high-volume production, MacMillan said. He added that the increasing use of aspheric lenses has created a need for better methods to deposit coatings uniformly across highly curved surfaces, and that new and emerging technologies such as high-power impulse magnetron sputtering have potential to further advance optical coatings in years to come. What is the market share of laser coatings (including ARC, HR mirrors, output couplers etc.) in the entire optical coatings market ?